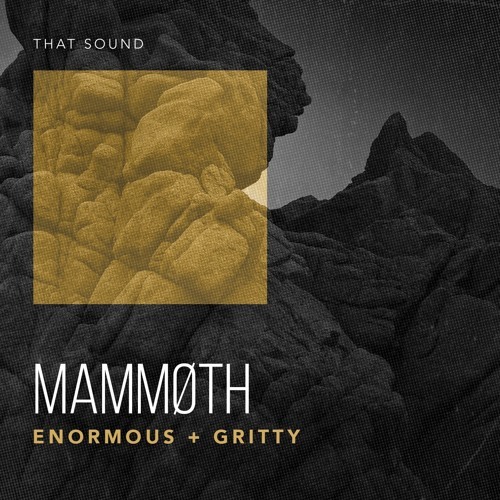 Mammoth is a collection of samples designed to give producers and beat makers the biggest and most dominant sounds in their music. It features thick, unruly kicks, messy distorted claps, and huge, disheveled snares. These samples are fearless. They are beastly and enormous. And they’re guaranteed to make your volume meters slam. Producer Dustin Burnett has taken his signature sound and has given Mammoth users a very specific set of tools. This library is great for TV and film tracks and takes its musical inspiration from artists like Imagine Dragons, X Ambassadors, One Republic, and Zayde Wølf. The deluxe version of Mammoth comes in at just 20$, making it smaller in price than most of the other libraries in our catalog. But make no mistake, there is nothing small or subtle about these samples. When you hear them, you’ll know exactly what to do with them. With 23 Monster Kicks, 18 Dirty Claps, 26 Snares, 17 Vocal Samples, and over 200 total one-shot samples, Mammoth has everything you need to make your hip-hop tracks grungier, your pop tracks meaner, and everything else drop harder.